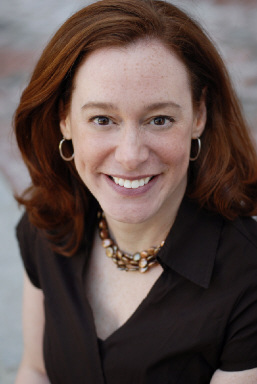 Alison B. Segal, Ph.D. is a licensed psychologist specializing in cognitive behavioral therapy (CBT). She earned a B.A. in Child Study from Tufts University and a Ph.D. in Clinical Health Psychology from Yeshiva University. Dr. Segal’s post graduate training included work at Coler-Goldwater Specialty Hospital and Mt. Sinai School of Medicine’s Impulsive-Compulsive and Anxiety Disorders Program. She was a past Instructor in Clinical Psychology at Columbia University. Currently, Dr. Alison Segal is the Director of Healthy Behaviors of Westchester and a consulting psychologist to the Institute for Behavior Therapy in NYC. Dr. Segal has been practicing psychology for over 15 years, treating children, adults, couples, and families. She is an expert in the treatment of anxiety disorders including OCD (obsessive compulsive disorder) and body-focused-repetitive-behaviors (BFRBs) like: hair pulling (Trichotillomania), skin picking(dermatillomania/CSP), overeating, and thumb sucking. Dr. Segal has helped many individuals suffering from social anxiety disorder, panic attacks, phobias, health anxiety, post traumatic stress (PTSD), and generalized anxiety. Currently, she is pursuing addional training in treating Sensory Processing Disorders, ADHD, and delays of executive dysfunction. Dr. Segal uses well-established psychological techniques based in scientific research to treat maladaptive behaviors, thoughts, and feelings. Some frequently used techniques are listed below. An individualized treatment plan is created for each of Dr. Segal’s patients depending on his/her needs.